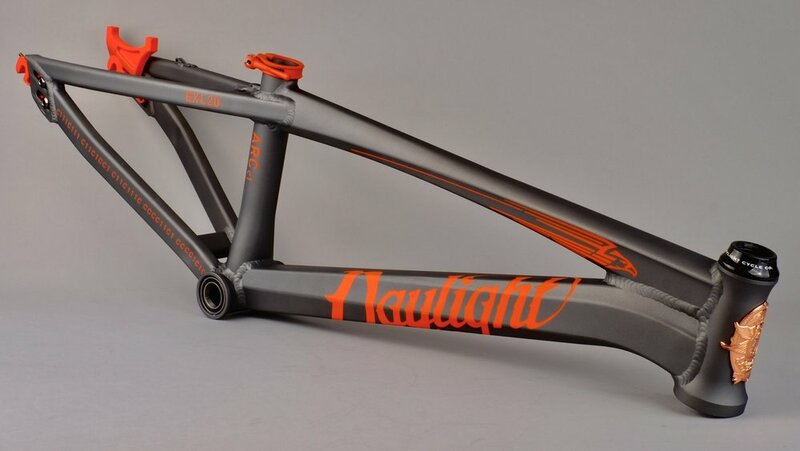 ARC c1 Reservation Form Lot 3 — DAYLIGHT CYCLE CO.
With Corben Sharrah's outstanding UCI World Cup Series winning performance last season, combined with what is inarguably the most significant new aluminum BMX race frame to enter the market in years, the interest in and demand for the ARC c1 has been overwhelming. So, how can you be certain to get the one you want? Simply fill out the reservation form below to secure yours. With four series in the Daylight Spectrum - ArcWhite, ArcBrite, ArcStorm, and ArcShine - and nearly 10 color ways in each series to choose from, plus the Sharrah Olympic Edition ArcTurnd, pre-ordering your frame is the surefire way to get the size and finish you want. Want your name added to the top tube? We can do that too! Reserving now holds your frame until our pre-sale for lot #3 officially begins at which time you will be sent a deposit invoice to lock in your frame. Target delivery is June-July 2017. Click on the following links for pricing, ARC c1 Tech & Specs, and/or to see all the available color ways within The Daylight Spectrum, and for information on how to become part of our new grass roots ride community, the Day/One Speed Crew. Happy Daylighting! And from all of us here at the Daylight family, we thank you! W/ sliding vertical drop outs w/ integrated disc brake mount + top tube and seat stay internal routing + cantilever V-brake mounts. ARC c1 Parts Package (Included with all frames) //////// 7075 AL CNC machined sliding vertical drop outs w/ (4) titanium drop out bolts and (2) titanium tension set bolts. //////// Daylight Integrated Headset w/ precision sealed, titanium-nitride coated, Campy spec bearings, carbon fiber dust cover and laser etched alloy stem cap, both 1 1/8” and 1.5” lower bearing races. //////// Pivotal Alloy 30.9mm Laser Engraved Seat Post. //////// Ceramic coated 34.9mm 7075 AL CNC machined Quick Release Seat Clamp. //////// Integrated Bottom Bracket Shell with press fit, premium 24mm BB bearings. Enter first and/or last name, or nickname, etc. exactly as it will appear. available in all Daylight Spectrum ceramic colors. Day/One Kit (Custom Day/One Jersey + Faith Pants): $200 //////// 10% Day/One Discount on Daylight Frame + Parts. //////// 20% Day/One discount on POC Helmets and Vittoria Shoes. //////// 10% Day/One discount on all Gold Coast Bicycles purchases.